Do your kids get absorbed in their devices for long periods and forget about everything else? It's a good idea to encourage them to take regular breaks. 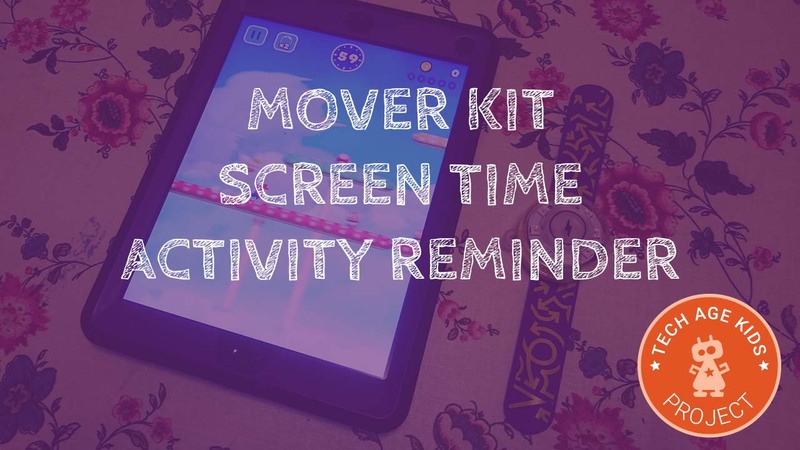 You could try nagging, or your could try making an activity timer with the Tech Will Save Us Mover Kit. 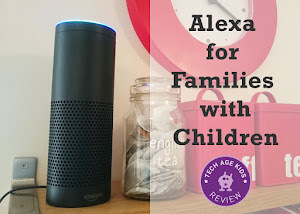 We've gone for the second approach, it's less painful for everyone and the kids develop some useful tech skills and an insight into designing a useful gadget. What is the Mover Kit? The Mover Kit has a ring of 8 lights which can be set to any colour. It can also detect movement. When kids are using a screen it's really easy for them to lose track of time and spend too long in a single sitting. We're happy for our kids to play Minecraft or Scrap Mechanic for fairly long stretches, but it's important to take regular breaks. When using a device (tablet, laptop, phone, console, etc) it's a good idea for kids to get up and have a stretch and move around at regular intervals and also to focus on something far away for a while by looking out of a window. This is a good idea for adults too so it's worth getting kids into good habits and joining them. Make it clear to kids that taking a break from their devices isn't a punishment, it's about balance and forming good habits. 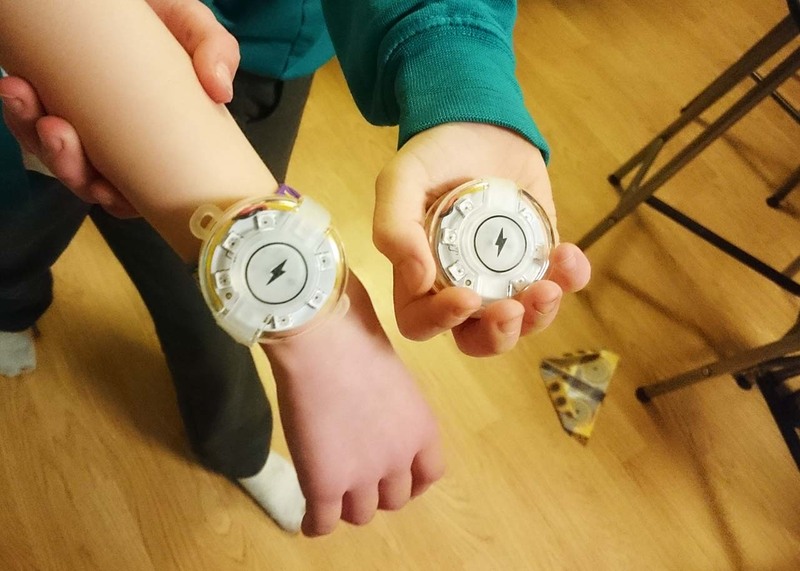 We've programmed the Mover Kit to remind our kids to take a regular break. It waits for a specified number of seconds has passed and then puts on a rather distracting light show until the child turns it over. Ideally, place the Mover Kit where the child can see it, but will have to get up in order to stop the flashing lights by turning the Mover Kit face down. 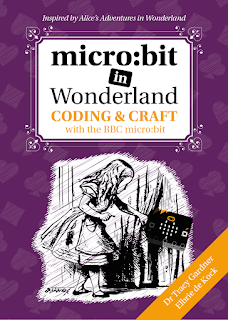 We'll share the code that we used, but the best way to complete this project is to customise it to suit your kids - they can choose their own reminder light show and a reward light show when they get up and turn the Mover over. The Mover Kit also has a built in activity app. For a bit more activity kids could switch to this (cycle through the apps by pressing the button on top of the Mover) and move around to trigger different light patterns before returning to the activity reminder. Here's some code to get you started with the idea. We suggest you set a small time delay like 30 seconds to start with so that you can test your activity timer. The lights go green for 1 second at the start of each cycle so that you can tell that the app is running. 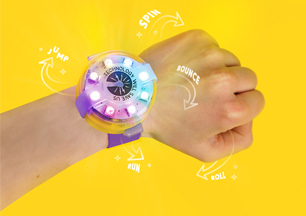 You could set kids the challenge of making a really distracting reminder light show that they won't be able to ignore, and making a cool light show as their reward for getting up and moving around. 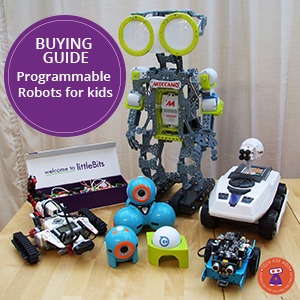 This project uses tech to solve a problem with kids current use of technology. This is often more effective that just nagging kids to do the right thing or moaning when they've spent two hours straight staring into a device. 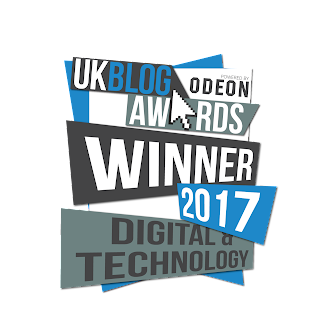 Lots of things that kids do on their devices are very absorbing, they do need a bit of help to put good habits in place.